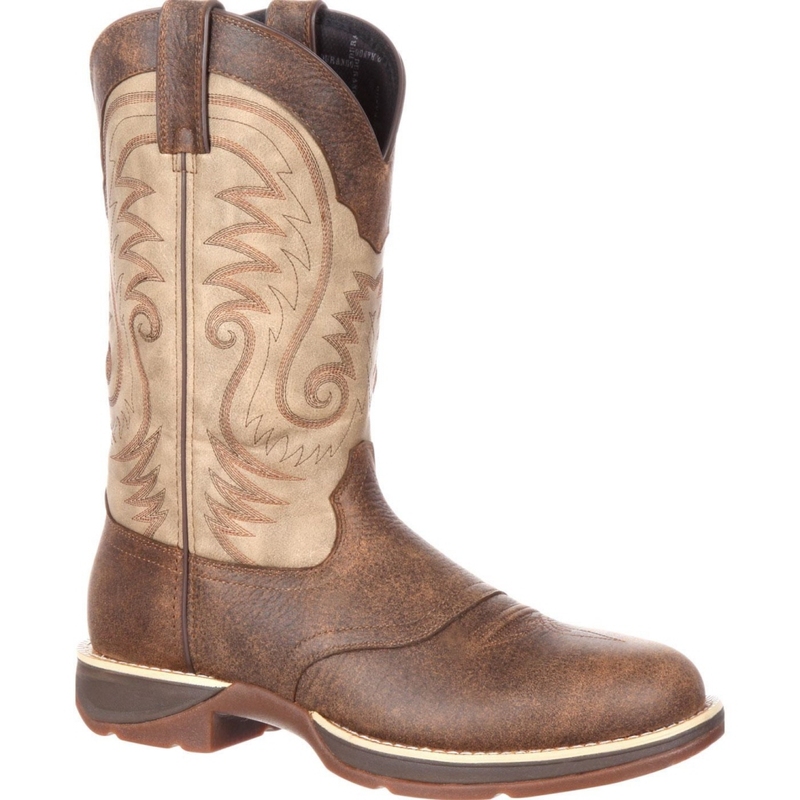 This 12 inch waterproof round toe saddle pull-on boot is part of the Rebel by Durango collection. They feature a distressed brown full-grain leather foot and pull straps and a synthetic tan upper. Within the interior of these pull-on boots, is a soft mesh lining, allowing your feet to stay cool and breathe. Durango waterproof construction ensures that your legs and feet will stay completely dry down inside of these boots. This boot also features a contoured ventilated cushion footbed that's removable. For stability and superior arch support, a tempered steel shank was incorporated into the base of these Western Saddle boots. While lightweight, the outsole is extremely hardwearing, flexible and comfortable to stand on. Pull on a pair of these Rebel by Durango Waterproof saddle boots today, your feet won't be disappointed!